It is the common wonder of all men, how among so many million faces, there should be none alike. Sir Thomas Browne (1605-1682) English author. Visitors to the park gently stroke parts of the face hoping to gain some wisdom of the past. The burnished parts leaves a tactile sculptural memory for each visitor. Each sculpture’s distinctive face reveals the life and times of the person who has come to the Driftless area of the Prairie du Chien area throughout the centuries. The sixth bronze sculpture will be Marianne Labuche. Mariann Labuche, was the first person to heal the sick in Wisconsin(1). Her patients called her "Aunt Marianne". Labuche came up the Mississippi River about 1790. She married three times and was the mother of fourteen children. She filled a crucial need in the Wiscosnin frontier with her knowledge of herbs, midwifery, and Native American and folk medicine. There is no other park like this in the Midwest. Each bronze is unique and one of a kind. The Mississippi River Sculpture Park is in the second oldest city in Wisconsin . Prairie du Chien is located in the Driftless Area of south western Wisconsin, a few paddle strokes north of the confluence of the Mississippi River and Wisconsin Rivers. It’s open 365 days of the year, free of charge for all. There is no playground. It is a park with no swings, jungle gym, slide, or sand box. It is a city-owned park. It is on an island surrounded by the waters of the Mississippi River. This, alone should make it unique. “Each individual historical figure is important individually as well as being a part of the whole story. 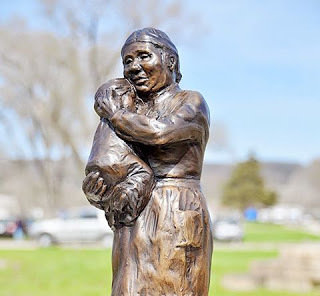 Just as the portrait of Aunt Marianne Labuche and her grandbaby tell about their personalities and relationship to one another, their addition to the Sculpture Park will help to define the whole story of Prairie du Chien,” says Florence Bird. The inspiration for the Mississippi River Sculpture Park came with footprints in the sand by the river on St. Feriole Island at Prairie du Chien, Wisconsin I wondered “Who stood here before me?” Then I began to learn about some of the people who had come to this island from ages past, people who had used these rivers as travelways, and people of the present who still live by the rivers. I conceived of a place where the the people’s stories might come together, where a Mastodon Hunter might share his story with the traveling Victorian Lady, and Fr. 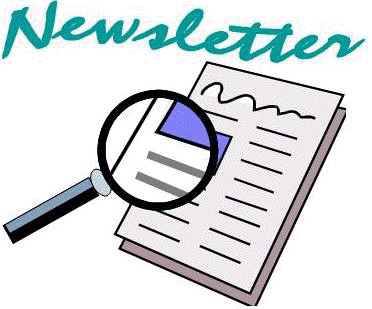 Samuel Mazzuchelli could share his experiences with Fr. Jacques Marquette. What would Black Hawk say about the Mound Builder to the Dousman Children? People from12,000 years of history could come together around a fire circle to tell their stories and share their experiences and beliefs with one another. This is the story of Prairie du Chien and this confluence region where the peaceful Wisconsin River joins the great Mississippi River, a story of living history. I imagined this sculpture park as a gathering of people from the pages of history and prehistory as an author might imagine an historical novel, historically authentic with enough artistic license to bring vitality to these diverse lives. The present day community of Prairie du Chien reflects this story in it’s diversity. This story is about our roots and our nation’s roots, and significant for the understanding of world history. Because I am a sculptor, as I learned about these people who came from all corners of the world, I began to make clay models of them. And now, as the community supports the work, we are able to enlarge the figures to life size and have them cast in bronze for a permanent monument so that many many generations of visitors may see and touch our story. This is a unique story and a unique sculpture park. There is nothing like it anywhere else in the world.